Photos courtesy of Wikipedia unless otherswise specified. In the fictional world of television over the past 20 years, beloved (and not so beloved) characters inevitably have some favorite where they go for a meal, a drink, or just a pick-me-up. 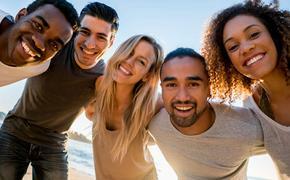 Many of these locales can actually be visited in reality. Everyone’s favorite fast food restaurant from the hit series Breaking Bad is the pilgrimage of many. But in order to see where Walter White and business associates used to hang out you have to go to the burrito joint called Twisty’s at 4257 Isleta Boulevard in Albuquerque, New Mexico. 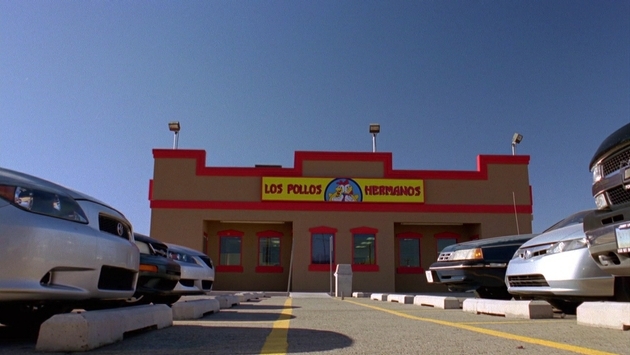 Although the only sign of the fictional fast food joint is a “Los Pollos Hermanos’’ picture on the wall and a guest book to sign saying you were there, people have come from as far away as France to check the place out. 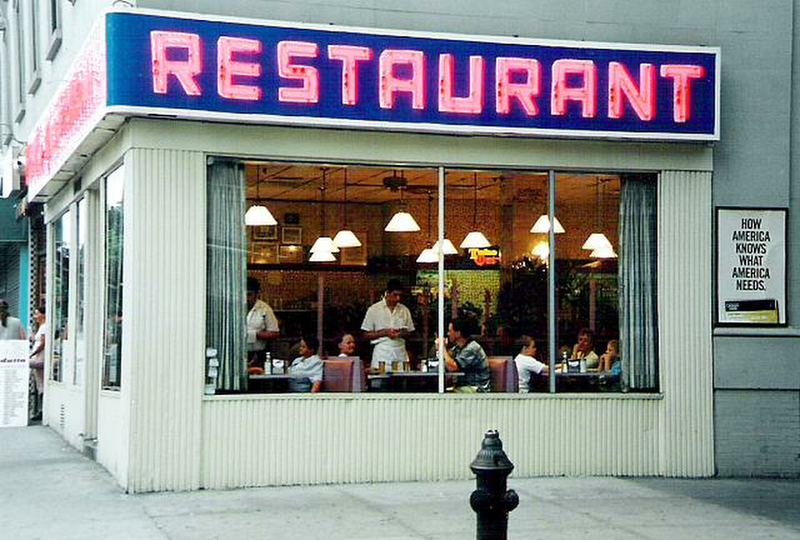 At 2880 Broadway in Manhattan in New York City you will find the diner that Jerry, Elaine, George, and Kramer would constantly visit during the run of the show. Although the exterior of what is actually Tom’s Restaurant appears in the show, the interior of the diner was all shot on a soundstage and doesn’t resemble Tom’s much at all. It is rumored that Senator John McCain often visited the restaurant while he visited his daughter who was attending nearby Columbia University. 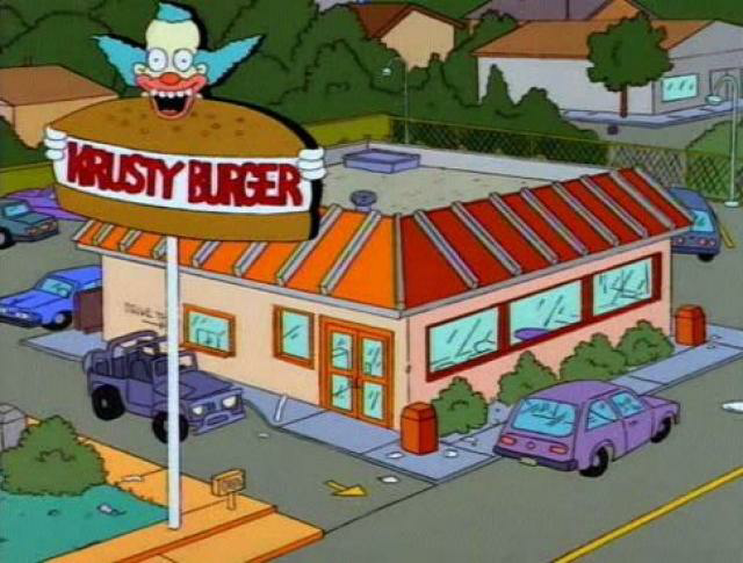 Krusty the Clown has been serving up Krusty Burgers since 1988, using meat from some strange animals. Obviously you won’t be traveling to an animated Krusty Burger anytime soon, but there is a Krusty Burger with actually edible Krusty Burgers at the Springfield section of Universal Studios Orlando. While there, make sure you have a Duff Beer. 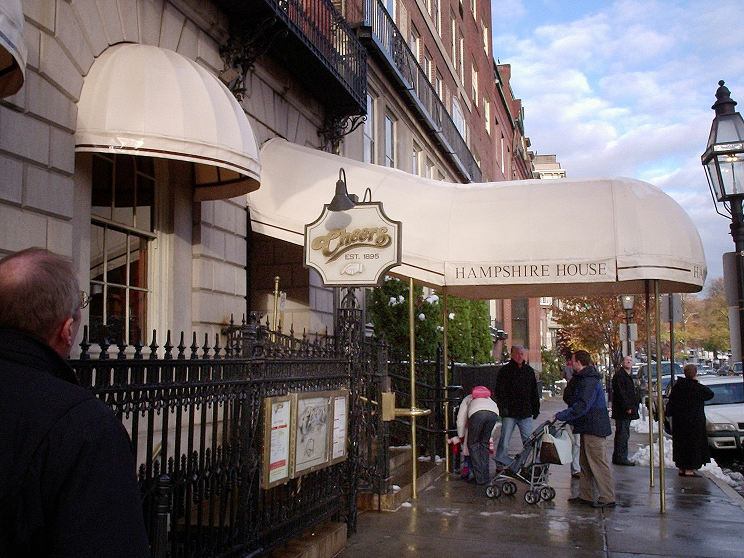 Cheers aired from 1982-1993 and revolved around a Boston bar. What was originally the exterior of the bar in the series was actually the outside of the Bull & Finch Pub on Beacon Street in Boston. In 2002, they would rename the bar Cheers Beacon Hill, and because of the success, they opened a second location named Cheers Faneuil Hall. The interior of the bar at the original does not resemble the bar from the TV series at all but when they built the Faneuil Hall location, they duplicated the bar from the show as best they could. Freddy Hayes, the long-term friend of Frank on the show, pretty much makes ribs whenever Frank wants them. Frank also goes to the trouble of delivering them to the office. 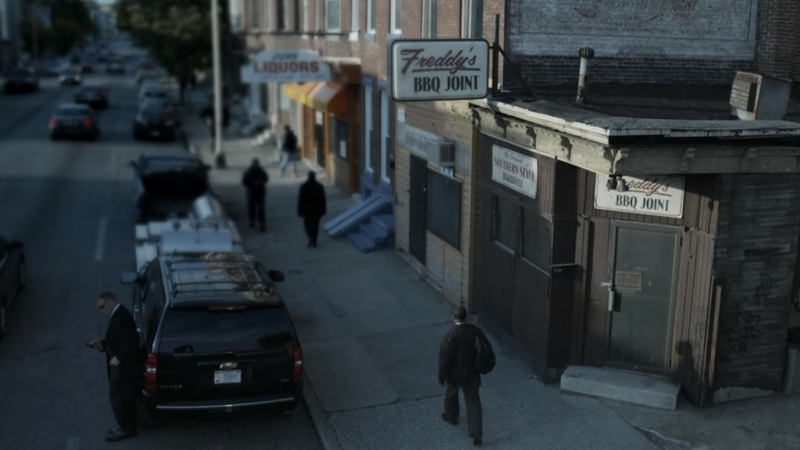 This is one of the places that you aren’t going to be able to grab a bite at in real life as it does not exist, but the building they use for the set is at 2601 Greenmount Avenue in Baltimore. If you are in Baltimore and are looking to have some BBQ, get over to Chap’s Charcoal Restaurant, where they sell ribs by the pound and the pit beef sandwich is to die for. So what am I missing? Where is your favorite show and where do the characters eat? Let me know and we’ll put together the next five!